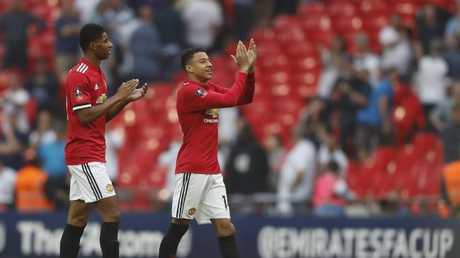 MANCHESTER United manager Jose Mourinho believes criticism of his side this season has been unjustified after they came from behind to beat Tottenham Hotspur 2-1 and reach a 20th FA Cup final at Wembley on Saturday. 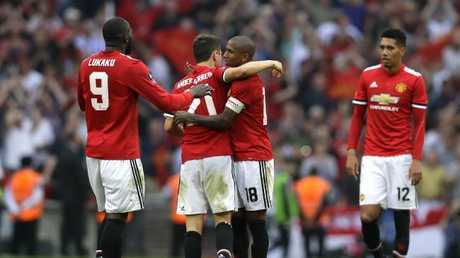 Goals from Alexis Sanchez and Ander Herrera cancelled out Dele Alli's opener to send United into a third final in less than two years under Mourinho, having won the Europa League and League Cup last season. "We should ask ourselves why there is too many critics on all of us?" said Mourinho. "We can finish second with seven more points. To do that with all the fantastic teams we play against will be an achievement for a club that couldn't do it for a few years now. "We need two victories and one draw to finish second with 81 points behind an untouchable City, no chance to get in the fight with them. I think second with 81 points is a good season and then we can come to the final with a good spirit, supported by good supporters." 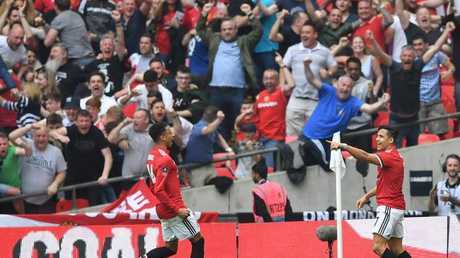 By contrast, a record eighth consecutive FA Cup semi-final defeat for Spurs ensured their decade-long wait for a trophy continues. "We want to win trophies, we have the staff that want to win. We can't keep doing this," said Alli. "We can't throw it away. We have got to improve." And the Argentine insisted that finishing in the Premier League top four for a third consecutive season to qualify for the Champions League is more important to their progress as a club than silverware. 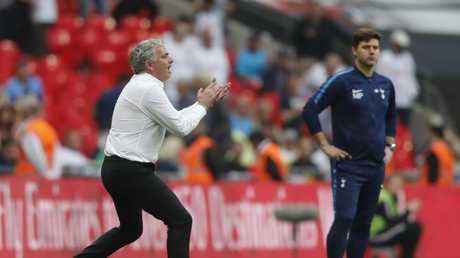 "For me the most important is now we finish in the top four to play again in the Champions League," said Pochettino. "Sometimes after the game I am very frustrated, but quickly I move on and we have four games to make sure we play Champions League. It will be a successful season if we assure our position." However, Spurs started like the side determined to make a statement. Just 11 minutes in Davinson Sanchez's long ball picked out Christian Eriksen perfectly as Paul Pogba failed to track the Danish midfielder's run down the right. "We were dominant from the first minute and it only looked to be going one way," added Alli. "We let ourselves down, it's very disappointing." Spurs failed to make the most of their early dominance as after going in front Eriksen scuffed wide from Harry Kane's layoff before the England striker just couldn't reach Son's viscous in-swinging cross at the back post. However, having showed the side of his game that Mourinho detests for Spurs' opener, Pogba demonstrated his combination of physical power and technical ability as he outmuscled Mousa Dembele before delivering a pin-point cross for Sanchez to head home just his third United goal. "I tell Alexis the same (thing) I told Paul a couple of weeks ago," added Mourinho. "I cannot expect them to score goals, be man-of-the-match or be perfect every match, but I can expect a level where you don't go below that. "That is the basics. If you do the basics then in some games your talent makes the difference." 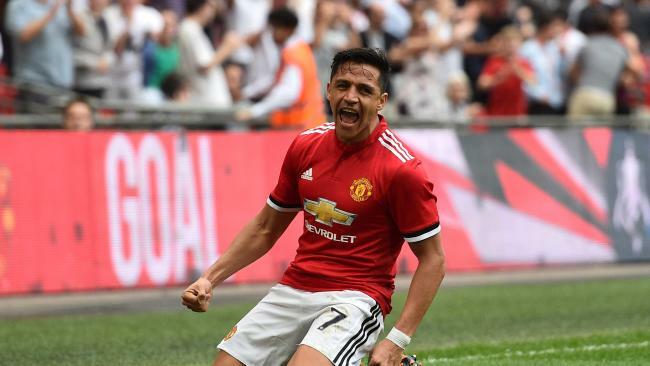 Sanchez was involved again for the winner 28 minutes from time when his ball across the face of the area fell perfectly for Herrera arriving late from midfield and his low effort into the middle of the goal beat Vorm, who was slow to react down to his right.